Please contact me for availability if you are interested in purchasing any of the following titles. Hardcover - 144 pages March 2015 $40.00 Essays by Karen Roberts and Dana Simpson. Photography by Tim Hauf Allow nature’s touch to promote healing from chronic illness. 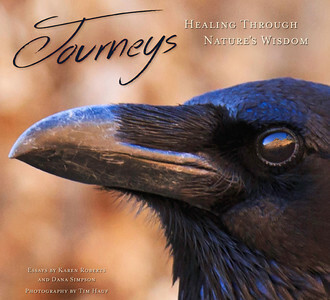 Journeys: Healing Through Nature’s Wisdom teaches that thoughtful engagement with nature nourishes and deepens our identity, even in the face of long-term afflictions. 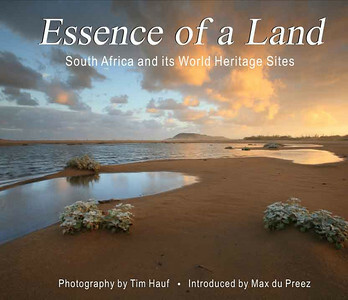 The inspirational essays, coupled with the superb photographs of Tim Hauf, demonstrate that the courage to step beyond the restrictions of disease and discomfort will open the path to a new realm of awareness and self-expression. 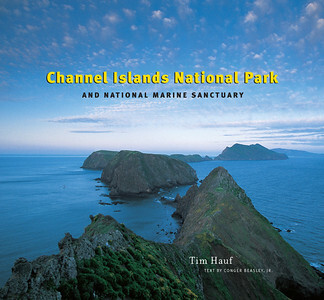 Channel Islands National Park and National Marine Sanctuary: California's Galapagos (2013) With a foreword by Jean-Michel Cousteau 160 pages Hardcover - (Sold out) Softcover - $29.95 Through Tim Hauf's stunning photography and collaborator Catherine French's informative text, you can explore the wilderness and learn of the bounty of rare flora and fauna found only on California's Channel Islands and nowhere else on earth. Over 200 photos capture the essence of "California's Galapagos". 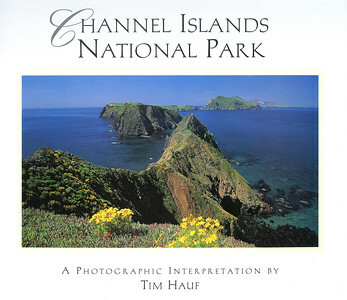 Channel Islands National Park and National Marine Sanctuary (2008) 160 pages Hardcover - $35.00 Softcover - $25.00 In this remarkable volume, veteran landscape photographer Tim Hauf captures the flora, fauna, cultural sites, and dramatic landscapes of little-known Channel Islands National Park and National Marine Sanctuary. This book includes nearly 150 outstanding photos, not only of the best-known sites, but those that are less familiar - from spectacular vistas to absorbing close-ups. Tim's long-time collaborator Conger Beasley jr. provides a descriptive text of the flora, fauna, and history. 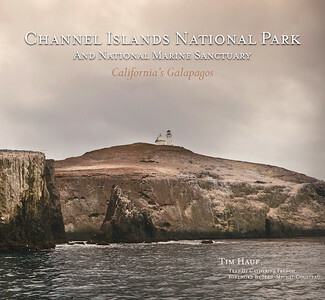 "Channel Islands National Park and National Marine Sanctuary" is a valuable introduction to the astounding natural wonders that flourish just off the coast of Southern California. 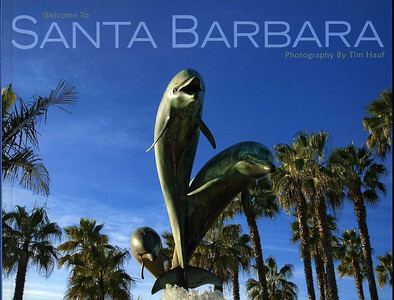 Welcome to Santa Barbara (2010) 48 pages Sold out Santa Barbara - the "American Riviera". Sunny skies, swaying palms, sandy beaches, cultural diversity, and a rich and fascinating history - collectively they form one of America's most desirable destinations. Tim has captured the spirit of Santa Barbara with nearly 120 images - showcasing its easy-going lifestyle, well-known and beloved historical sites, and an arts and cultural scene that ranges from exquisite gardens and theaters to sometimes quirky parades. 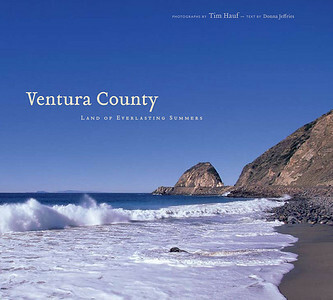 Ventura County: Land of Everlasting Summers (2009) 144 pages Hardcover $39.95 (Volume discounts available) Located on California's spectacular Gold Coast, Ventura County has come to personify the California Dream. "Ventura County: Land of Everlasting Summers" captures the allure of one of the most diverse landscapes in the world as well as the wonders of this region's rare Mediterranean ecosystem, archaeological treasures, geological phenomena, and the unique flora and fauna found nowhere else on Earth. 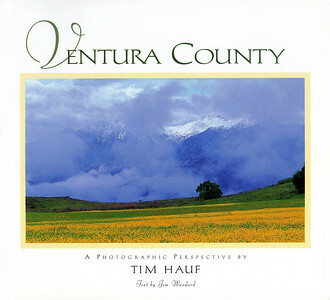 This visually stunning tribute to Ventura County showcases the vast beauty, history, and mystique of the region through the lens of Tim's camera, and the insightful narrative of writer of Donna Jeffries. Kangchenjunga Guardian of the Eastern Himalaya (2007) 208 pages Hardcover $40.00 Photographer Tim Hauf and writer Conger Beasley Jr. blend their superb talents to capture this legendary mountain and the remote terrain of the eastern Himalaya -- Tim with his astounding photos of the face and texture of the mountains, Conger with his insightful text showcasing the people, history, flora, and fauna. 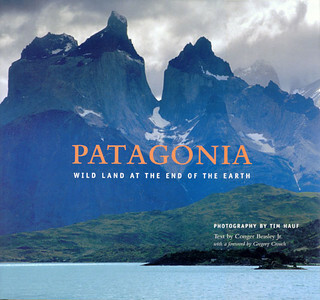 Patagonia: Wild Land at the End of the Earth (2004) 168 pages Hardcover $40.00 (Sold out) Softcover $27.50 (Limited availability) Experience the strange magic that lures travelers to this remote, far-off corner of the planet. It's a place that has always appealed to a special kind of traveler, lured by lofty summits and stupendous scenery. It's the kind of land where you can wander at will and find yourself lost in the most interesting ways. Tim captures the spirit of this remarkable place in over 130 photographs that run the gamut from stunning vistas to intimate details. 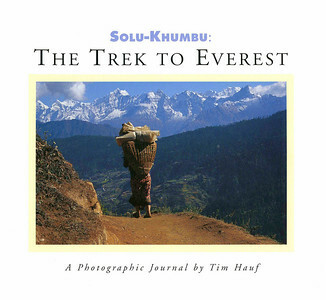 Text by Conger Beasley Jr.
Solu Khumbu: The Trek to Everest (2002) 160 pages Sold out A candid and unsparing account of a great outdoor adventure. It's a depiction from ground level, step by step, day by day, of what it's actually like to walk the Solu-Khumbu along the steep, terraced slopes of central Nepal to the icy elevations of Kala Patthar and the remarkable Gokyo Lakes. 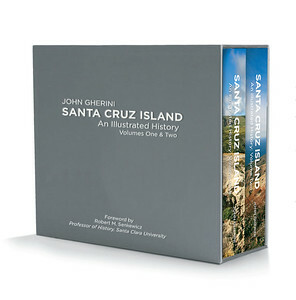 For those who have been there, for those who plan to go, for those who prefer to remain at home, this book offers a stunning vision of one of the world's spectacular destinations. Conger Beasley Jr. contributes an illuminating introduction to the history and culture of Nepal. 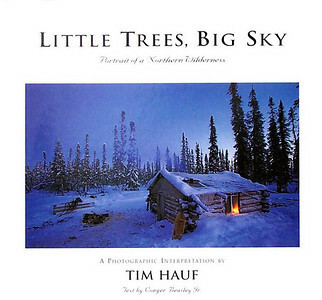 Little Trees, Big Sky: Portrait of a Northern Wilderness (2000) 144 Pages Hardcover $34.95 (Limited quantities) Softcover $24.95 (Limited quantities) A compelling visual portrait of Manitoba's northern Wilderness. 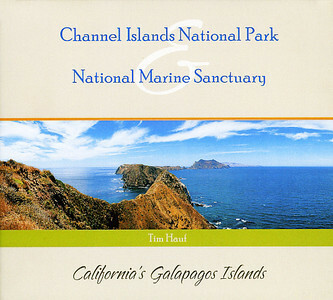 Channel Islands National Park and National Marine Sanctuary California's Galapagos Islands (2012) Audio/Visual DVD 23 minutes Sold out Set to inspiring music, this slideshow is a valuable introduction to the astounding natural wonders that flourish just off the coast of Southern California. Over 260 outstanding photos showcase not only the best-known sites, but also those that are less familiar - from spectacular vistas to absorbing close-ups. 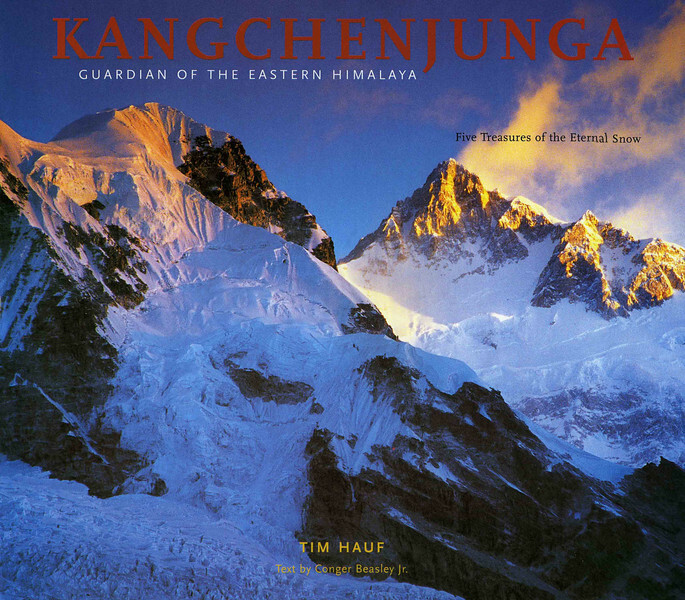 Photographer Tim Hauf and writer Conger Beasley Jr. blend their superb talents to capture this legendary mountain and the remote terrain of the eastern Himalaya -- Tim with his astounding photos of the face and texture of the mountains, Conger with his insightful text showcasing the people, history, flora, and fauna.